One of the seven cities of deliverance or salvation, Avantika Nagar has 7 Sagar Teerthas, 28 teerthas, 84 SiddhaLingas, 25-30 SivaLingas, Ashtabhairav, Ekadasa Rudrasthana, temples for hundreds of deities, Jalakund and monuments are there. Once there lived a Brahman who had four sons, who were all devotees of Siva. The wicked demon king Dushan came to Avantika after attaining a boon from Lord Branhma and started torturing the erudite Brahmanas of Avantika. But the Brahmanas who were very engrossed in their worship of Shiva did not even flinch. The demon king sent all four of his henchmen with the orders that they have to ensure that no Vedic Dharmanushtan activities are to take place. The harassed people came running to the Brahmans seeking help. The Brahmanas assured the people and pacified them. They immediately started praying to Lord Shiva. Meanwhile, just as the Demon king tried to attack the Brahmanas, the earth would split open near the Parthiv Murty with a loud noise and huge crater would form there. In this manner, Siva assumed the colossal form of Mahakal and appeared. He ordered the wicked Demon from going anywhere near the Brahmanas. But the wicked Demon king did not pay heed. As a result, Siva burnt him to ashes with just one grunt. Seeing Lord Siva in this Avatar, Brahma, Vishnu and Indra and other Devas came down and prayed to the Lord and pleased Him. The grandeur of Mahakaleswar is indescribable. Chandrasena, the king of Ujjain was not only a scholar, but also a staunch devotee of Lord Siva. Once his friend Maheswari’s follower Manibahdra gave him a beautiful gemstone called Sundara Chintamani. It shone so bright and beautiful when Chandrasen wore it on his neck, that he looked even more glorious than the celestial gods. It would make even them feel jealous. Once, some kings went and asked Chandrasen to part with the jewel and Chandrasen promptly refused to do so. This angered the kings, who in turn attacked Chandrasena’s kingdom. When Chandrasena realized that he was surrounded by the enemy he sought the help of Mahakal. Bhagawan Shiva was pleased with his prayers and showed him a solution for his problem. Just then, by chance, a Brahman woman wandered near Mahakal, carrying her child with her, and suddenly became a widow. An illiterate boy once saw the king performing Puja in the stone and installed it in his empty house. He imagined it to be an incarnation of Shiva and started worshipping it. The boy became so engrossed in prayer and chanting, that he even forgot all about food. When his mother went to call him, any number of calls had no affect on him. He was silently praying. Angered by this, the mother who was still bound by worldly love, threw away the SivaLinga. She destroyed all the thing of worship. The boy was very sad at what his mother had done. He started to pray to Shiva with his entire concentration. Siva was not long in coming to the rescue of his devotee. This stone SivaLinga which was brought by the son of a cowherd soon became adorned with gemstones and turned into a JyotirLinga. After singing in praise of Lord Siva, when the boy returned to his house, he was amazed to find a beautiful palatial home instead. Thus, with the Grace and Blessings of Lord Siva, the boy became rich and led a very happy life. In the mean time, the enemy kings who attached ceased Chandrasena’s empire, began to fight among themselves. 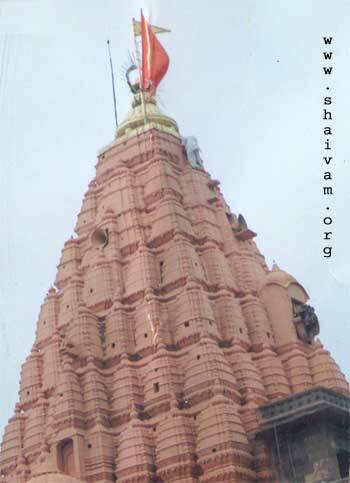 They began to say king Chandrasena is a Siva devotee and ujjain itself is the city of Mahakal. It is therefore, impossible to anyone to win it. They then decided to extend a hand of friendship to king Chandrasena and together they all worshipped Mahakal. At that time, the Vanara King Hanuman appeared there. He told the kings that only Siva could grant salvation to mankind and nobody else. Siva can be pleased with worship done even without chanting any mantras. The example of the son of cowherd is for us. Then Hanuman looked at Chandrasena with eyes filled with affection and benevolence and disappeared. The Adyapeetha i.e., is the foundation of Sanskrit learning, ethics, knowledge or science and art had their initiation at this place. 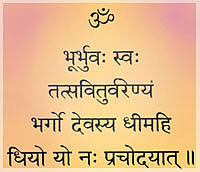 It is indeed the Triveni Sangam or learning of the three great things. The greatness of Ujjain city was enhanced by the Maurya kings as well as other dynasties. The great emperor Vikramaditya who began new era by starting a new way of counting the years, made Ujjain his capital. It is here that Raja Bhartrihari wrote his great epics (love stories) Virat Katha, neeti Sataka, the love story of Pradyot Princess Vasavadatta and Udayan. The beauty of this city found a pride of place in the descriptions of a great many poets and writers who song its praise. At the auspicious time at dawn, the women of this town sprinkled vermillion water in their courtyards and decorated them with Rangoli designs. In the Mahakal Shiv temple located in Ujjain on the banks of River Kshipra, at 4 AM puja is performed. After Abhishek, Chitabhasm (Ash of cemetery) is applied all over Mahakal. According to classics, Chitabhasm (human ash) is considered as unholy and inauspicious. If any one even touches it by mistake, one is required to bathe in order to be purified. But this very ash becomes holy, by merely touching the body of Mahakal, because Siva is Nishkam or lust-less. He is not touched by material desires. That is why Shiva is Mangalmay or auspicious. tathApi smartR^INAM varada paramaM maN^galamasi || ”. Thus Shiva is auspicious and beautiful. Avanti Nagar is Shiva’s favorite town. Those who visit the Mahakal temple and take a darshan, will never be touched by sorrows even in their dreams. Those who pray for whatever they desire to the Mahakal JyotirLinga would be granted all his/her wishes. They would attain salvation. Native plants or at least plants adapted to similar conditions as your region will have a better chance of growing and thriving.